Dr. Ronald Wallie is a native Ohioan. He graduated with honors from Kent State University in 1969 with a BA in mathematics. He was involved in missionary work with college students on college campuses in the Portland, Oregon area and later, the University of Cincinnati from 1969 to 1977. 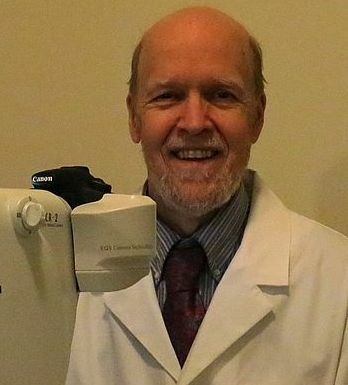 Dr. Wallie became a college student again and earned the Doctor of Optometry degree from The Ohio State University College of Optometry in 1981. He assisted doctors in their optometric practices until he opened his own practice in 2002 in Newton Falls, Ohio. His wife, Carolyn, and their nine children spend time together hiking, running, biking, and daily Bible studies. Their home in the country is not far from Newton Falls and enables these children to enjoy many outdoor activities, including hunting and gardening. Dr. Wallie can be seen at our Newton Falls location on Mondays and Fridays.